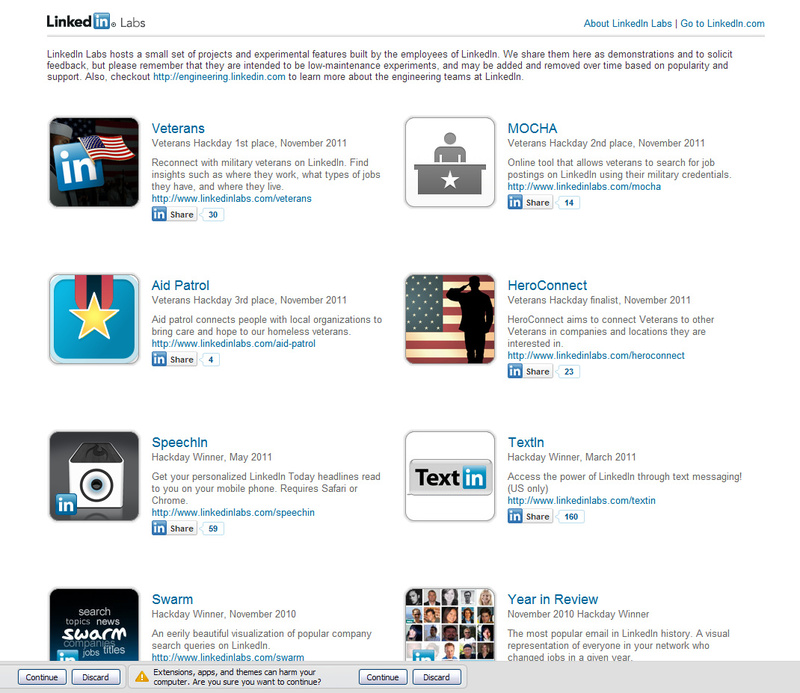 LinkedIn Labs hosts a small set of projects and experimental features built by the employees of LinkedIn. This concept was inspired by the employee’s, who, every month celebrate “InDay,” a day when LinkedIn employees from around the world are encouraged to spend their time focused on research, learning and developing concepts outside of their normal routine. They throw a Hackday contest on every InDay. These projects are judged and the winners (and other projects noted worthy) have their projects posted in the Labs section of LinkedIn. Whether you want to search LinkedIn via text message, use the Resume Builder to create your resume based on your LinkedIn profile, see a visualization of the most-searched companies on LinkedIn or see your own network in a more creative way, there’s a widget to do it. Check them out and be sure to leave your feedback to help them fine-tune these widgets or get rid of the ones that aren’t popular. These “experiements” are intended to be low-maintenance and may be removed over time based on popularity and support.Keep in mind that the projects displayed on LinkedIn Labs will vary in terms of support and quality, as they are often intended to demonstrate new concepts and technologies. They hope that by sharing them publicly, these concepts will benefit from the feedback they receive. Some may be live for just a few weeks; others may become a staple on the site. Their goal is to provide a platform where these engineering efforts can more easily be shared with the public. Which ones are your favorites and are their widgets that you would like to see added? Leave your ideas in the comments section. 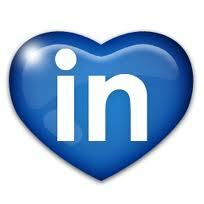 As always, please feel free to connect with me on LinkedIn and if you’re feeling kind, follow BrandLove, LLC on LinkedIn. I appreciate your support!